So far 2015 seems to be the year of “the feels.” Beyond just being a sticky internet meme, brands are starting to hitch themselves onto this positivity train to shopper and consumer success in some really large-scale, high profile ways. Here are three examples of big brands who are bringing “the feels,” and the short-term results they are seeing. Going off the statistic that last year “women posted more than 5 million negative Tweets about beauty and body image,” Dove wanted to change the tone with their Twitter-based #SpeakBeautiful campaign that kicked off at an epicenter of cattiness: The Oscars. 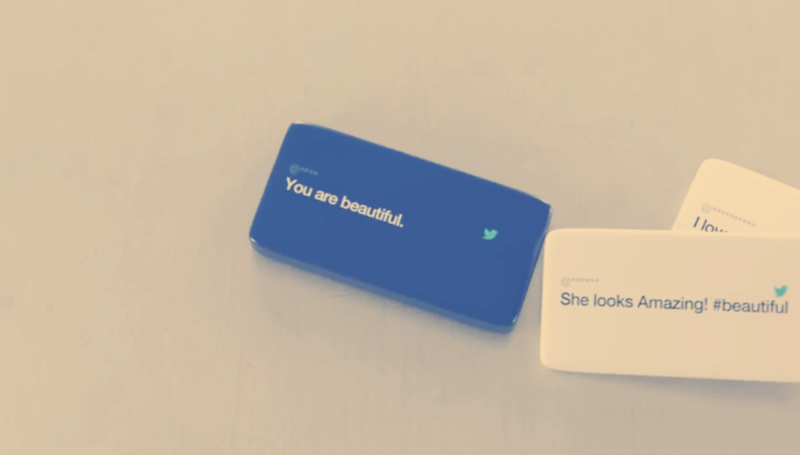 The way the campaign works is that Dove monitors Twitter chatter for a negative self-worth or malicious Tweets and then sends reactionary “one-on-one responses to women and girls to inspire them to help change the way we talk about beauty” (as framed up by Dove’s Director of Marketing, Jennifer Bremner). Results: More than 51,000 supportive Tweets using the hashtag #SpeakBeautiful and nearly 46,000 responses to @Dove were recorded by Topsy Analytics in just the four days surrounding the Oscars. Results: Per Coca-Cola’s findings, the #MakeItHappy campaign received a 95 percent neutral to positive public response. Results: According to McDonald’s, the two week in-store campaign lifted the perception of the brand online from approximately a 30% “neutral or positive” rating in 2014 to an 85% “neutral or positive” rating currently in 2015. It looks as if brands are realizing that a great way to form a bond with their target audience is to provide the right trigger for them to “feel,” and then let them run with that feeling while knowing the brand made it happen. Simple. Matt O'Toole is an associate shopper marketing strategist in the Momentum Chicago office.